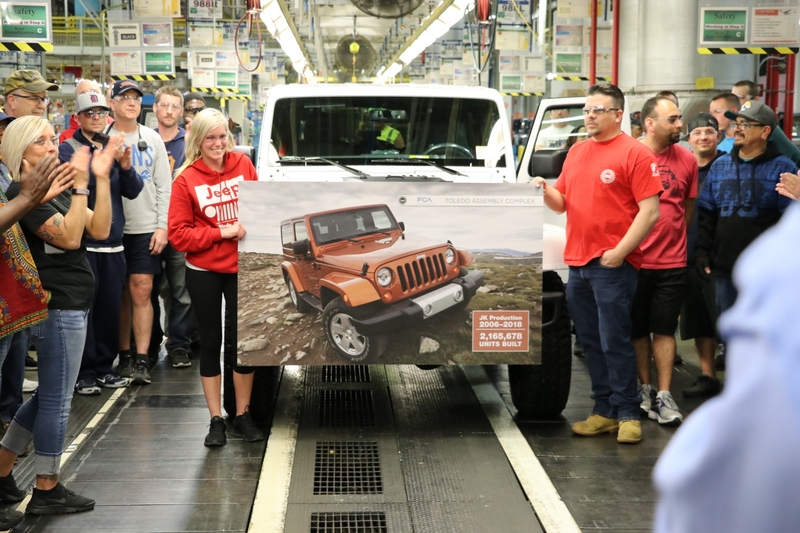 According to a press release from FCA North America, the last of the Jeep Wrangler JK vehicles have rolled off the production line at the FCA U.S. Toledo Supplier Park after a 12-year production run, during which more than 2.1 million vehicles were built. 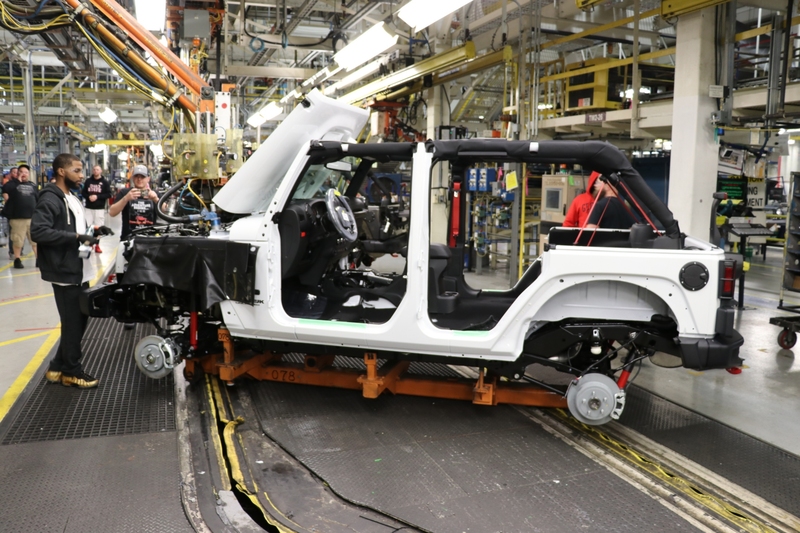 The Toledo Assembly Complex will be reorganized to accommodate the production of the all-new Jeep Truck, which will be launched in the first half of 2019. 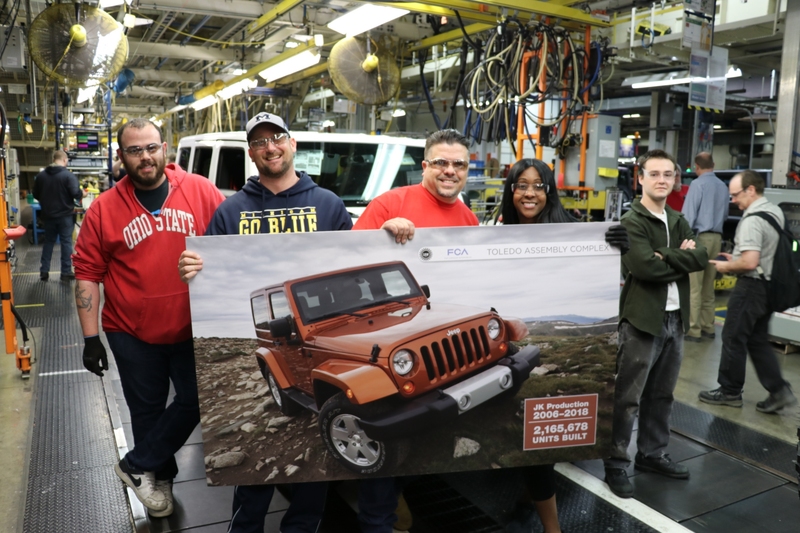 To commemorate the occasion Toledo plant employees snapped pictures with the 2018 Jeep Wrangler Rubicon Unlimited. The white Rubicon, Wrangler JK number 2,165,678, unfortunately won’t be making it a customer garage but instead will serve as one of the Jeep brand’s show vehicles. Production of the JK series began in 2006. It was built as part of an innovative supplier co-location concept where supplier partners build and manage key manufacturing process facilities entirely within the plant “footprint.” You can call it self-sustaining at some level. 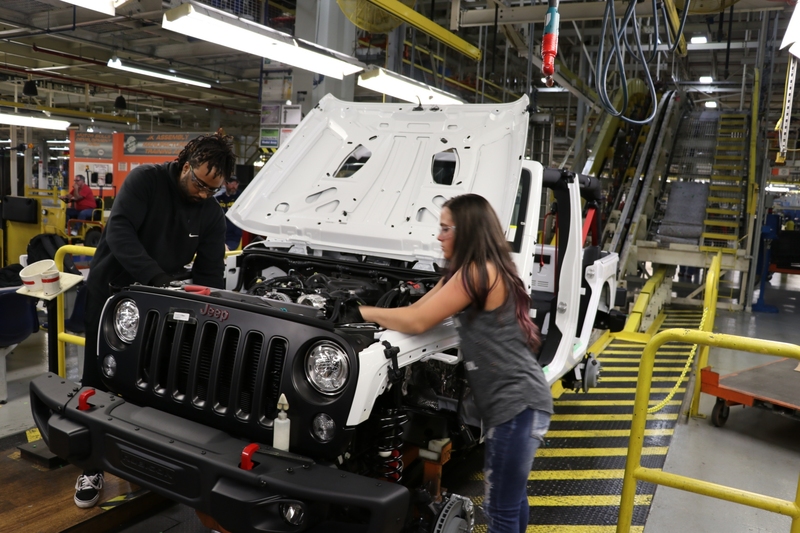 FCA U.S. will continue to use the same manufacturing system working with supplier partners to produce the new Jeep truck. Suppliers for the body and chassis i.e. Kuka and Hyundai Mobis, respectively, will remain as before. 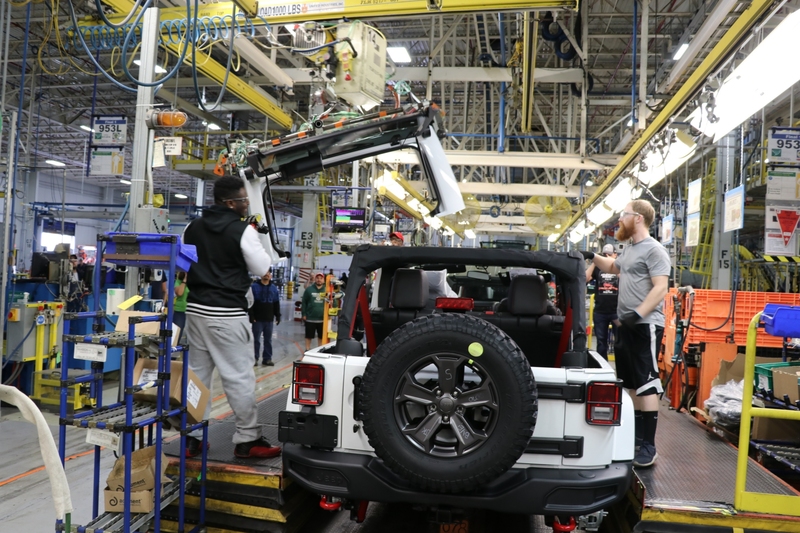 The $4.5 billion industrialization plan that has been brought into action will realign the Company’s U.S. manufacturing base to expand both Jeep and Ram brands. 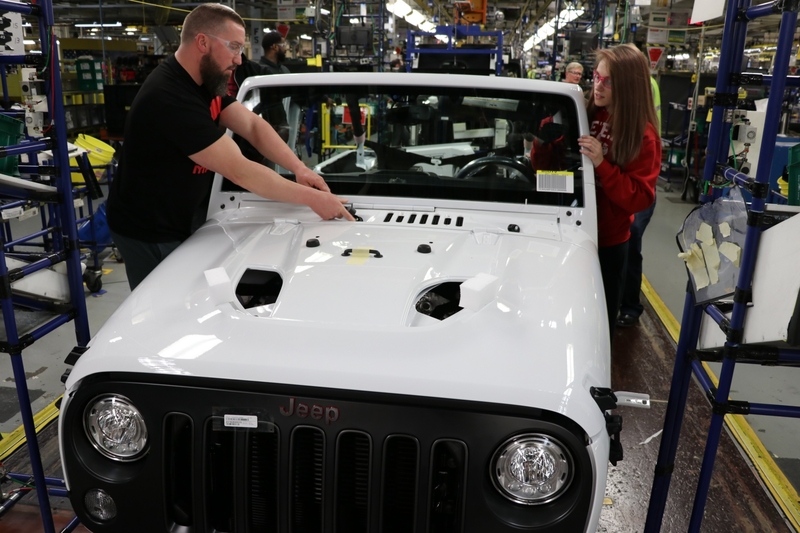 In order to accommodate the manufacturing capacity for the new Jeep truck, production of the next generation Jeep Wrangler JL was moved to the north end of the Toledo Assembly Complex. According to Digital Trends, both the remaining Wrangler JK and the first batch of the Wrangler JL are available on dealer lots as 2018 models. But you can’t order a custom Wrangler JK from the factory anymore. This marks the end of an era, but the old eventually have to make way for the new. A Jeep Wrangler studies abroad...and comes back listening to Eurodance. Although not the official design, we can't imagine that the upcoming Jeep pickup truck won't look just as cool.